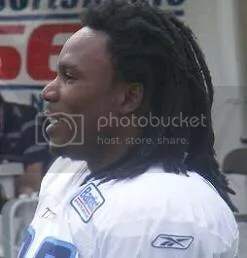 Let’s give a round of applause to the newest member of the NFL’s 2,000 yard rushing club, Chris Johnson. CJ finished his unforgettable campaign with 2,006 yards via his 36-carry, 134-yard/2 TD performance in today’s Titan 17-13 victory over the Seahawks. 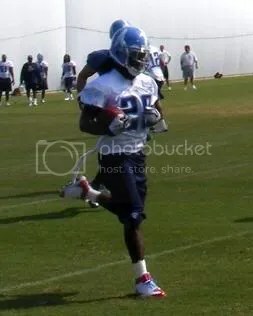 Will Chris Johnson rush for 2,000 yards this season? I’ve heard of this phenomenon occurring in other stadia, with other players, but have never before witnessed it until this year at LP Field. Fans are literally on the edges of their seats every time Chris Johnson (or Chris Jones, as Keith Olberman called him) is about to touch the ball. When he does, most of those fans rise in order not to miss anything. There is an excitement in the air, a palpable sense that CJ is about to make another big play.